GEORGE WASHINGTON was the first president of the United States of America and the author of Rules of Civility. ADAM HASLETT’s debut story collection, You Are Not a Stranger Here (Nan A. Talese/Doubleday, 2002) was a finalist for the National Book Award and the Pulitzer Prize. He provided annotations and an introduction for Akashic’s publication of George Washington’s Rules of Civility. His work has appeared in Zoetrope, Yale Review, BOMB,and NPR’s ‘Selected Shorts.’ He lives in New York City and attends Yale Law School. National Book Award/Pulitzer Prize finalist Adam Haslett tackles George Washington’s Rules of Civility, which will be printed in its entirety. In addition to an introductory essay, Haslett annotates the text. 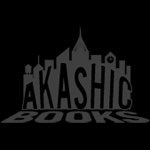 Akashic Books announces a provocative series of books with early writings from United States presidents, starting with George Washington and moving chronologically forward in time. Each book will present an introduction by a talented and highly acclaimed contemporary writer. This series will be unlike any other presidential commentaries in print, and will be characterized by a critical viewpoint that will provide a counterbalance to the overly reverent and conservative analyses that invariably accompany presidential writings.